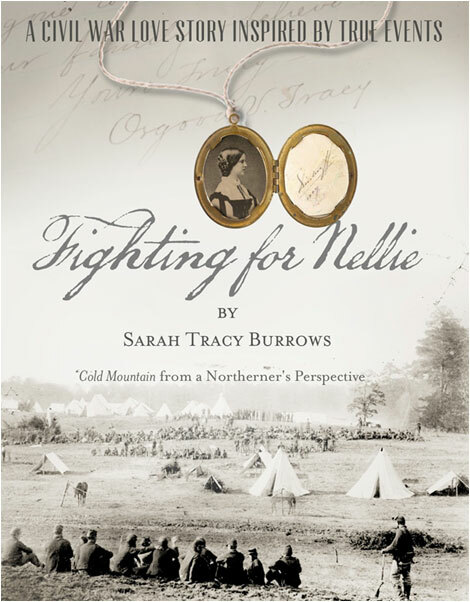 A historical novel based upon the author’s 2nd great grandfather’s privately held Civil War letter cache, FIGHTING FOR NELLIE demonstrates how life can change in an instant, war alters everything, and we must fight for what we love. It will remind readers of Cold Mountain but from a Northerner’s perspective, a contemporary All Quiet on the Western Front, and March. The true religion is that which sets you free. A throng of people swarmed the village, like bees to a honeycomb. A portion of the mass, numbering in the thousands, comprised local townspeople but most had traveled miles from surrounding communities, towns, and the city of Syracuse. 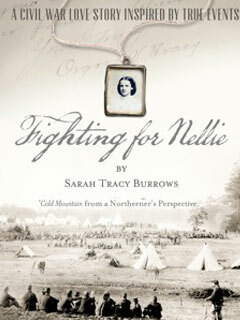 No matter from where they had journeyed, everyone headed in one direction – the square – where the sounds of patriotic music could be heard and a rally for a volunteer county regiment of men on the brink of heading to the Civil War was about to begin. The excitement, urgency and anxiousness of the moment mixed with the ninety-degree temperature and humidity, stirring sultriness to the air. Bridles clicked and spoke wheels turned, swirling dust all around. Rays of the noon day sun fought to beam through a hazy cloud cover as horses and carriages came to a halt. Riders and drivers jumped to dismount, tying reins to hitching posts. Stagecoach doors popped open. Women, gathering their skirts and young children, climbed down, while men aided by offering their hands. Throughout the village, voices chattered. Skirts sashayed. Top hats tipped. Spouses of lawyers, bankers, and doctors wore the latest New York, English or French fashion, made from imported fabrics. Farmers, who had not had time to change or clean up, swiped grime from their overalls, dirt from their cheeks. Their wives, wearing day dresses made of cotton produced in Northern mills, guided young daughters, their small shoes scuffing along in the gravel. Their sons, not yet eighteen, walked beside, puffing out their chests, wishing they were old enough to fight, and planning how they might. Elderly men and women, walking slowly, hunched over, or limping, made their way, some with the use of canes, others the balance of each other. From the ground floor of the Beard Hotel, local Fayetteville businessmen, attired in sober black suits, white linen shirts, and black scarf ties, exited their establishments, which included a tailor, newspaper, and law firm. Beside the front door of Nichols and Austin Groceries and Hardware Store, they paused, to examine the list of the most recent dead, wounded, and captured, penned to paper, nailed to plank siding. The bottom of the tally, unfastened, fluttered in the motion of the crowd, which included workers from the nearby flour, plaster and saw mills, hustling by. The town center, outlined by stone and brick Greek Revival Style structures built on the slope of a hill, beside which Limestone Creek ran, soon filled to capacity. Shoulders bumped shoulders. Cheeks were kissed. Conversations carried, echoing and reverberating between buildings, joining with the sounds of music. An overflow of people spread to the side roads, resident porches, pastures, and cornfields. In the center of the square stood 22-year-old Osgood Vose Tracy, his brown eyes twinkling, his heart full of patriotic enthusiasm. The heat as well as the wool uniform he wore caused him to perspire and from his pocket, he took out a handkerchief which his mother had washed the day before, and gave his forehead a swipe. Placing the cloth back, Osgood clasped the shoulders of his friends, Andy and Frank, standing beside him, and beaming, pulled them in. Surrounding the three young men was their newly formed regiment – the 122nd New York State Volunteers – comprised of one thousand men scheduled to leave the next morning for several days training before heading to the front lines to fight for the North in the War of the Rebellion. The organizer of the rally, a well-known abolitionist, women’s suffragist, writer, and resident of town – thirty-six year old Matilda Joslyn Gage – was situated on the top step in the center of the Beard Hotel, with wide porches to each side, filled with people. The hall inside, though large and usually used for meetings, would not accommodate the crowd this day. Matilda wore a long, black jacket, like a man might wear, fitted, unbuttoned from the waist down, and open to her skirt. Its’ satiny cuffs rolled back, its’ collar was of v-neck shape. Matilda’s brown hair, brushed high off her forehead, twisted on each side to the back, to a braided bun. The rest – extensions she’d added – fell in long ringlets, past her shoulders. Her appearance was serious and stern, her eyes seeming set on what she planned to accomplish. Looking out at the thousands, Matilda pounded a gavel on the podium, and outstretching her arms, grabbed the attention of the crowd, quieting it. Clearing her voice, she began her speech. The crowd cheered in unison. The multitude went wild, hooting, hollering and and whistling. Hats waved and flew in the air. The crowd exploded again. Matilda took up from the podium the folded troop flag, the funds for which she raised and the ladies of Fayetteville sewed, unraveled it to expose its’ bullion, tassels and cords of gilt, and turned to present it to the man who would lead the 122nd. Three roars erupted. The flag was raised, the band struck up “America,” and Osgood’s heart pounded like the beat of his hometown county for human freedom. Adrenaline raced through his veins as he clapped Andy and Frank’s backs then pat his inside breast pocket for some thing he’d placed there that morning. Suddenly, Osgood blurted, “See you tomorrow, boys!” and sped off, weaving his way through the men, leaving his friends, watching him, baffled. Outside the square, Osgood headed toward his horse, tied to an old oak tree at the corners of East Genesee and Chapel Streets. Upon Osgood’s return the animal raised his head from grazing and, munching grass between his teeth, snorted. At the sound of his name, the animal’s ears twitched. Osgood reached into his uniform pocket, pulling out a small velvet box. With his snout, Freedom nudged it with curiosity. His whiskers tickled Osgood’s hand and laughing, Osgood took one step back, a deep breath, and opened it. He snapped the box closed, replaced it, and mounted, turning Freedom’s head in a familiar direction. The mob from the rally had started for the streets and was dispersing all about. Osgood trotted Freedom through the crowd, acknowledging those he knew with a tip of his hat, but didn’t stop, for there were ten miles to travel from Fayetteville to Syracuse and he was in a hurry. So excited for you! Loved what you’ve posted! I know you as a mom and amazing woman. I am so looking forward to getting to know you even more as a writer–you are authentic, genuine, smart and kind–I can’t wait to see these qualities in your writing. Sarah – what a wonderful gift to bring the letters of ancestors to life! I am looking forward to reading the rest of your book! Rock on girlfriend!! So proud of you!! I am loving this book Sarah and am looking forward to reading it! Thank you for sharing your poetry – it’s beautiful. Sarah, Just read what you have written, and can’t wait to read more! This is writing at its best. Your parents must be incredibly proud you are sharing your family’s history with the world! What a powerful story. Looking forward to reading it.